THE MOST COMPACT 144MHz MOBILE The smallest 144MHz mobile available, the IC-27A/E measures only 38 millimeters high by 140 millimeters wide. As an added bonus, the IC-27A/E, through Icom engineering, is able to contain an internal Speaker to provide ease of mounting and make the unit one small compact complete package. HIGH OUTPUT POWER In such incredibly small package, the IC-27A/E is able to provide 25 watts of output power. 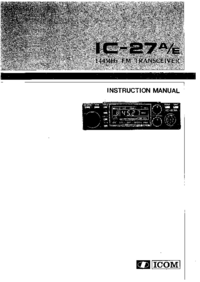 And even though the IC-27A/E is the smallest available two-meter mobile unit, it has sacrificed none of the features found in fully featured VHF mobiles. 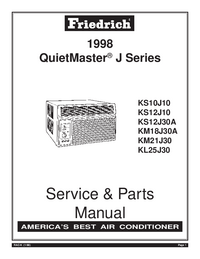 9 MEMORIES The IC-27A/E has nine memories available to store receive frequency, transmit offset, offset direction, and subaudible tone. Memories are backed up by a lithium backup battery, which will store memories for up to seven years. 32 SUBAUDIBLE TONE ENCODER The IC-27A comes complete with 32 standard subaudible tone encoder ready to go and controlled from the front panel knob. Each subaudible tone may be selected by the main tuning knob and stored into memory for easy access along with the frequency. MULTI PURPOSE SCANNING The Memory Scan allows you to monitor nine different memory channels, the Programmed Scan provides scanning between two programmed frequencies, and Full range Scan scans the entire band. The scanning speed is switchable, and the auto-stop terminates scanning when a signal is received or a channel is free. PRIORITY SCANNING Priority may be selected to be either a memory channel or a VFO channel. By using sampling techniques, the operator can determine if a frequency he is interested in using is free or busy. SPEECH SYNTHESIZER As an added plus, the IC-27A/E features an optional speech synthesizer to verbally announce the Receiver frequency of the transceiver through the simple push of a button. 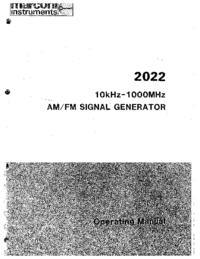 This allows the operator to hear what frequency he is operating on without looking at the frequency display.